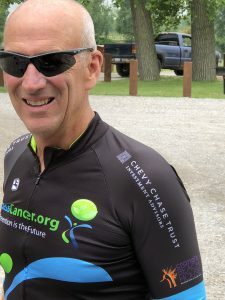 Larry Fisher, President of Family Wealth Services for Chevy Chase Trust, is on the Board of Directors of Next Generation Choices Foundation, more widely known as Less Cancer. A 501c3 nonprofit public charity, Less Cancer focuses on addressing preventable cancers through education and continuing medical education for healthcare providers, including physicians, nurses and public health professionals. The organization has been an influential leader in policy is founders of National Cancer Prevention Day, the National Cancer Prevention Workshop, the United States Congressional Cancer Prevention Caucus. The organization’s flagship program, the National Cancer Prevention Workshop, is streamed live to a community of over 57,000 globally, providing continuing medical education at no cost to participants.